When Alex was visiting from Kabul and I couldn’t make his birthday party I decided I would be super selfless and take him to a restaurant that we would both totally enjoy that I’ve been wanting to go to for ages. It’s Korean. It’s hip. And I wanted to go. The bar itself is in Bugis and sits at the end of Tan Quee Lan street past all the legit Korean BBQ places, as this cool-ish, industrial-ish, Korean-ish bar. There’s a table hanging from the ceiling outside and the color palette is grey, black and white. It’s borderline depressing BUT they have funny comics on the wall inside. 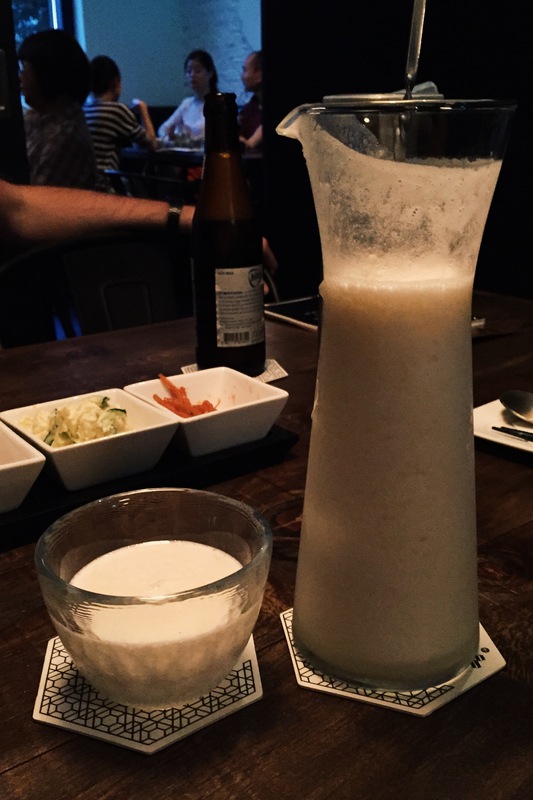 Once there, I ordered makgeolli, a rice alcohol beverage that is native to Korea. Or at least that is what Wikipedia told me. I ordered the most non-alcohol tasting version that included shaved ice and yucha, which is really just yuzu. It tasted of happiness and made me feel like a princess. HIGHLY RECOMMENDED. Alex and I seriously got down to business and decided that we needed this chicken. I can’t remember the actual name of these babies but to be honest, they were only ok. Next time I would opt for their wings. While we looked forward to this dish the most, it was really very lacklustre. 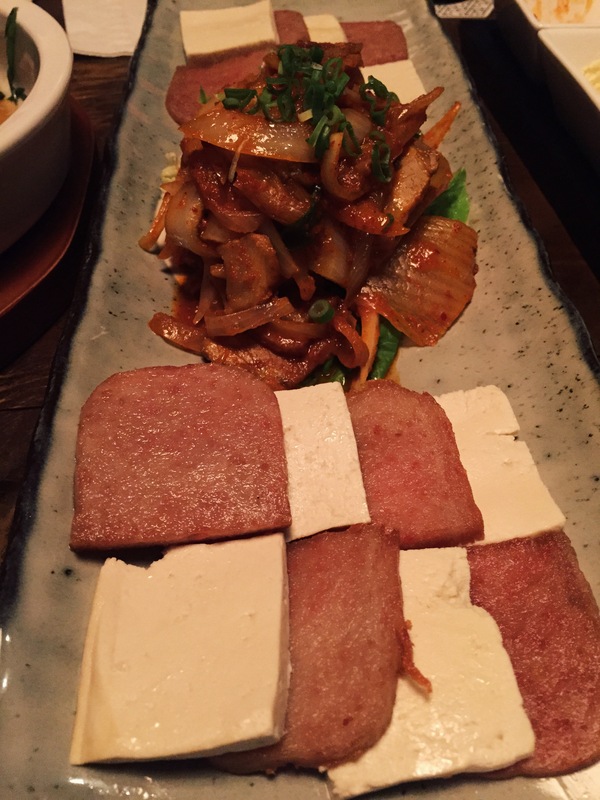 The tofu was cold and the kimchi lacked kick. The spam was great because I love spam. Don’t judge me. 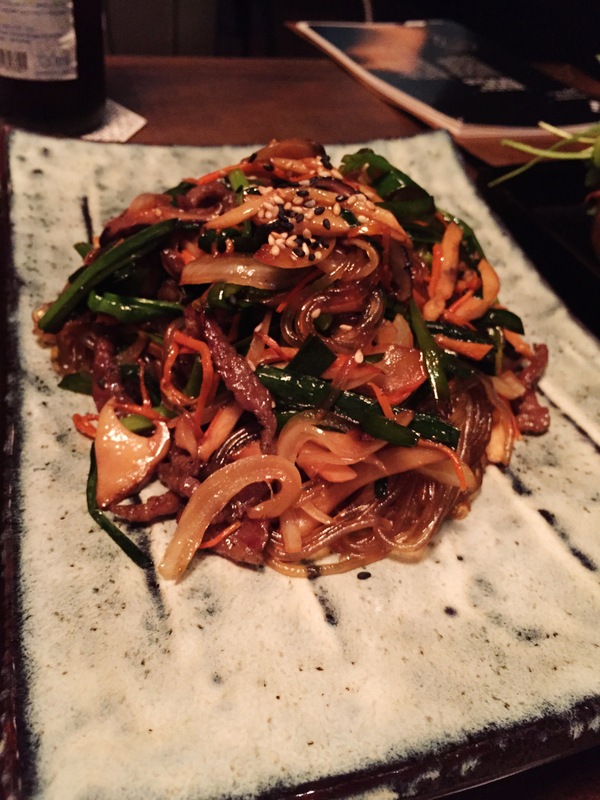 The humble japchae was honestly the best thing we had. Alex consumed huge amounts of it. Ok, honestly, he had like two servings because the guy cannot eat. But it was filling, flavorful and goooood. 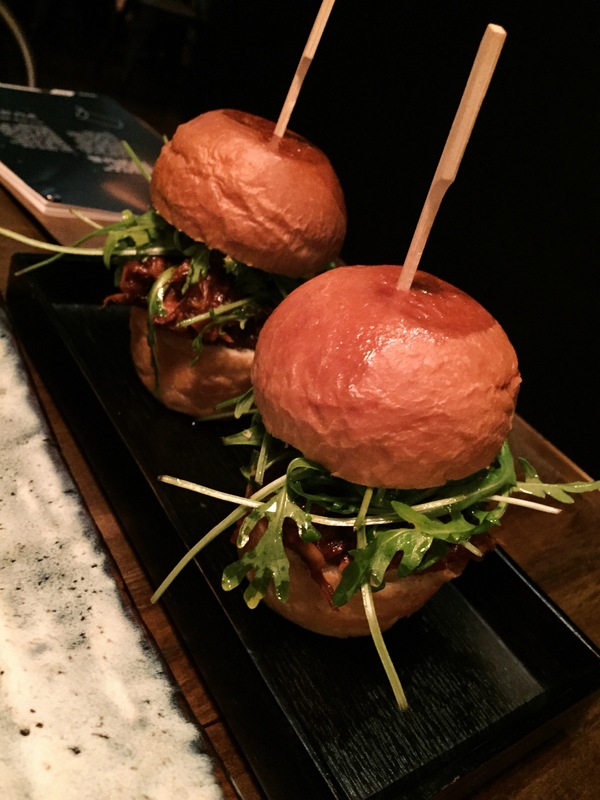 I loved these sliders which honestly just tasted like Alabama style ribs in a bun. Very sweet but again, goooood. My verdict is that this place doesn’t actually live up to the hype. 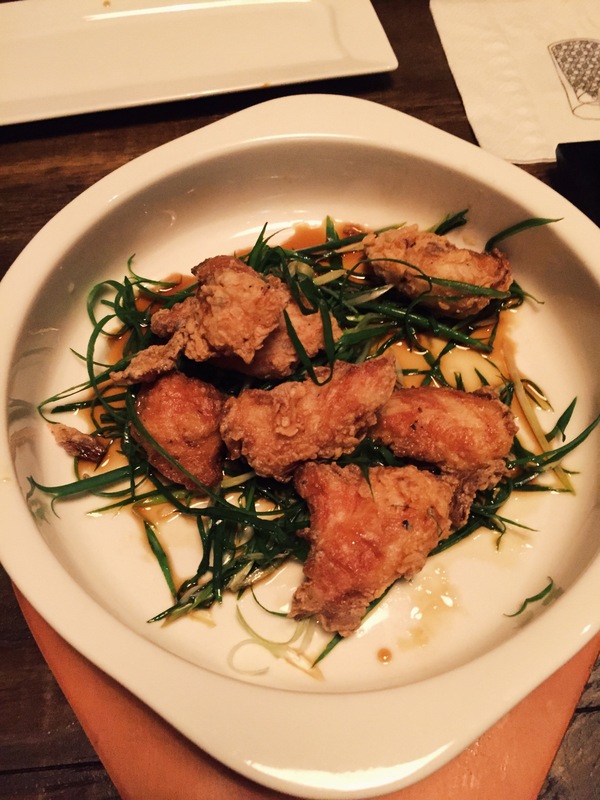 The food really did lack that Korean punch, and no matter what all the other reviews say, that is a problem. Too bad because I liked that yummy rice alcohol slush. I know! I should have said that was your arm! And you’re going to be doubly famous after this Friday’s post!